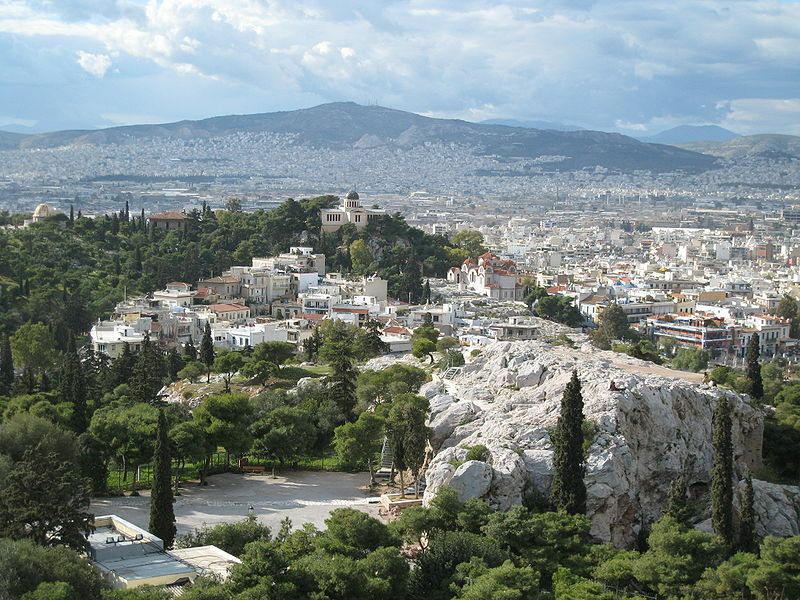 Deforesting Athens and other "war cities"
Athens, Greece is not the only city whose urban forest was destroyed during a war and subsequently replanted and restored. Dr. Joe R. McBride and colleagues have assessed pre- and post-war urban forests in Hamburg and Dresden (Stilgenbauer and McBride, 2010) and Sarajevo, Bosnia-Herzegovina (Lacan and McBride, 2009). Extensive firebombing of Hamburg and Dresden during World War II destroyed major portions of the tree cover—the urban forest—in each city. In Hamburg 42 percent of street trees were lost; in Dresden the estimate was 51 percent. The availability of planting stock, economic considerations, and differences in local (Hamburg) versus central planning (Dresden) influenced the reconstruction of those urban forests. The conversion of tree nurseries to vegetable gardens during and after the war delayed replanting in both cities. And while the economic rebound of West Germany in the 1960s and 1970s supported planting and park reconstruction, economic depression combined with the draining of funds from East Germany to pay Russian war reparations slowed progress until the 1980s and 1990s. After the war, Hamburg landowners resisted major changes to the urban fabric, such as street realignments. In Dresden, despite local opposition, portions of the city were rebuilt following the Soviet “16 Principles of Urban Planning.” Reconstruction projects (street widening, freeway construction, new buildings) eliminated approximately 2 percent of the prewar green space supporting trees in both cities. The impact of firebombing on these urban forests contributed to the establishment of postwar tree protection laws in East and West Germany. I wrote about the Sarajevo urban forest here after attending a lecture given by Lacan. In Sarajevo, the black locust regenerated in remnant peri-urban woodlands in contrast to the pre-siege composition of pines, hornbeam, beech, and sessile and downy oaks. Although the black locust is not a desirable species, the trees are not weeded because residents remember the denuded landscapes of the war. The dire economic realities in Greece might be submerging a similar memory in Athens.